Vogue 9022 is complete, finally! I feel like it is taking me forever to complete projects. I know I am spending extra time making fitting adjustments. Of late I have to adjust the back on just about everything I sew. Length is too long or width in upper back is too wide, hip area too tight!!! I am happy with this dress. Sorry no photo of me wearing yet. 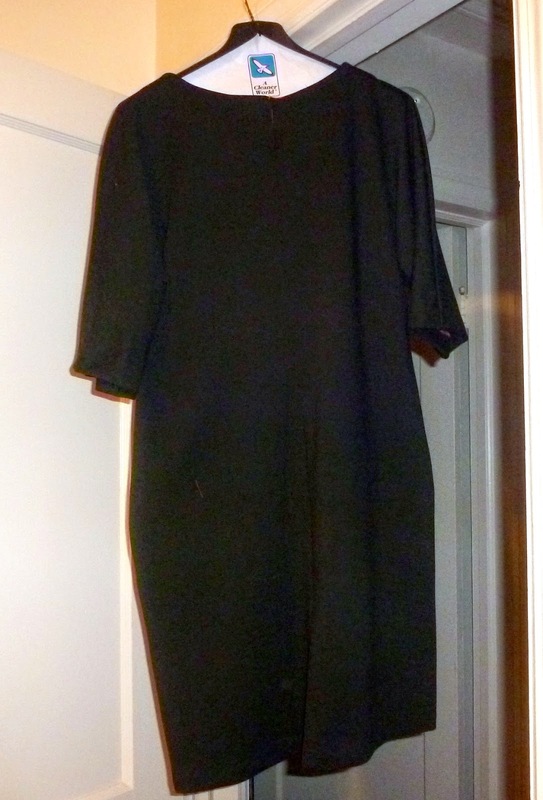 This one of those dress that when it is hanging it is not as appealing as on, or at least for me. I pinned the pockets to the dress because when hanging they gape. While wearing they don't. I plan to wear the dress next week and will take shots of me wearing it. I am going to make one of these boxy style tops. View E or View C. I also plan to make culottes shown in View E above. 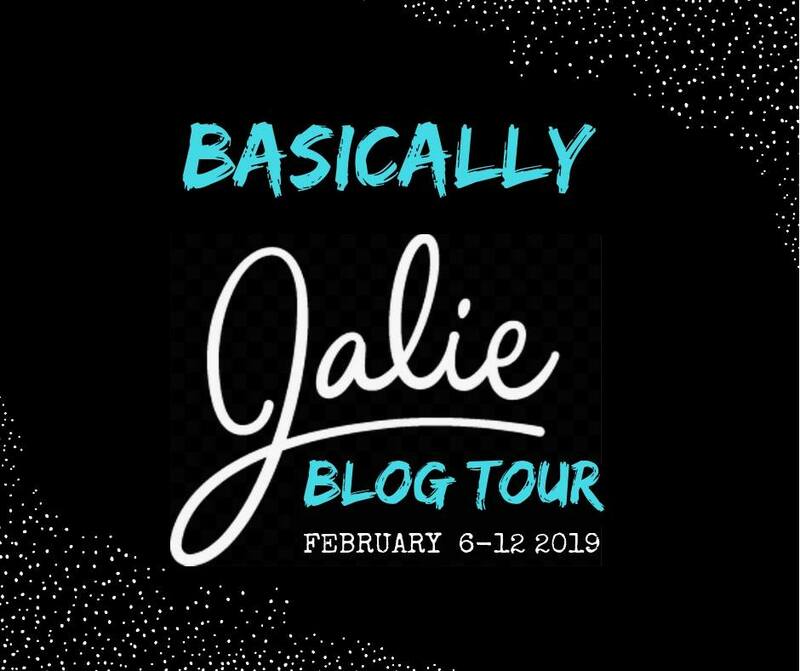 I will share more later. This is the iron I used for 10+ years. It has been a good iron. However lately when the iron heats up and the steam button is pushed discolored water leaks from the iron. There really should be no water coming from the iron because the water is in the base unit. Fortunately I have not damaged any fabric yet. When cleaning out the base unit a plastic screw type item fell out. Not sure of its function. Some other peculiar things were happening with the iron. I decided that I would look for a new iron. Because I had use the Rowenta iron with good success I began to look at new Rowenta irons. Yet I learned that they were being manufactured elsewhere and that experience with the newer models was not satisfactory. 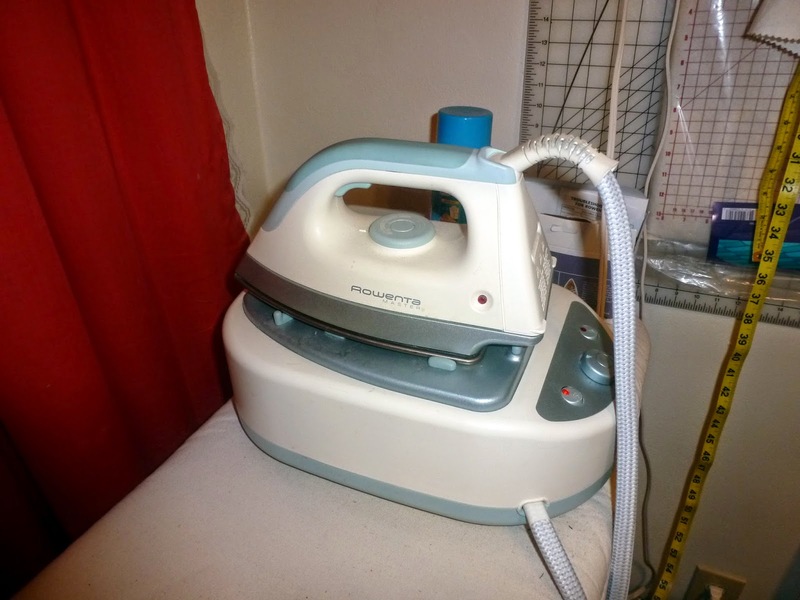 I happened upon Oonaballoona's sewing blog and her post about a Maytag iron. I had a nice sewing weekend. I spent considerable time yesterday and today working on the Vogue dress.Yesterday I began cutting out the fabric after making fitting adjustments to the pattern. I had measured the geranium fabric and thought that I had enough to cut out the pattern. However in the process of cutting out the fabric I realize that I was going to run short. My next thought was what other fabric do I have that I can use to make this dress. After pulling out two other double knit fabrics, I decided that neither one of those were what I wanted to use. Digging further through my stash I found I had enough black double knit to use with the geranium double knit. I have had a week of Mondays. I am so looking forward to the weekend. I plan to pin fit both the Vogue dress pattern and the Butterick blouse pattern tomorrow and will most likely sew the dress pattern first. Not much going on in the way of sewing for the past week or so. I have cut around pattern pieces for two projects I want to sew soon. One is a Vogue dress pattern, V9022. 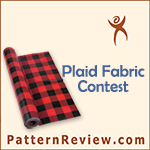 There are nice reviews of this pattern on Pattern Review. I plan to use a double knit from Gorgeous Fabrics, called geranium. I purchased this in 2012. I pressed it this evening as I had washed it last weekend to prepare for sewing. The other pattern I pulled out and cut around pattern pieces is a new purchase. Butterick 6175. 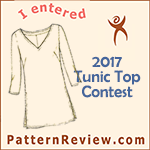 You can tell that this pattern is loose fitting. I may not make mine as loose. I plan to use this fabric that I acquired from Schoolhouse Fabrics in Floyd, VA last year. It is a Robert Kaufman polyester semi sheer fabric. Both of these pieces make me feel like spring time! I have so many sewing plans running through my head and need to get moving. I have been traveling some this past week -work related. Traveled to Asheville, NC, a four hour drive one way. I spent the night in a very nice hotel and the business purpose of the meeting was fantastic as well. The weather arriving and departing was just lovely. Sunny and warm, not to hot and not too cool. Usually when I traveled there I would make time to visit Waechters Fine Fabrics. They no longer exist as I believe I recall that the owner retired. I would not have had time to visit there if they were open. I think I have one or two fabrics from them still in my stash! Today I am again traveling to NC for a family reunion with relatives from my father's side of the family. Unfortunately with my parents divorcing I did not have the contact with my father's side of the family as much as I did with my mom's side. So it will be good to actually meet cousins and their families that I have never met or when I did meet them they were very little. Well it's back to work today. Yesterday I was able to basically finish the Kwik Sew top. 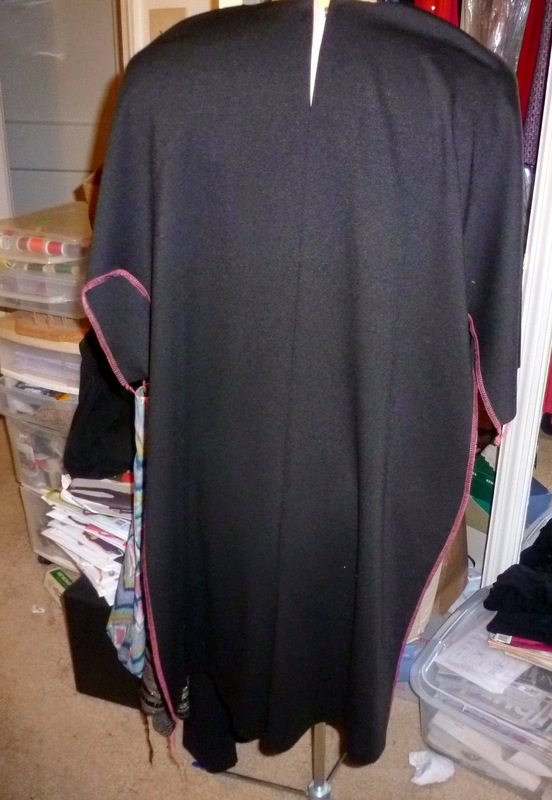 I still need to hem the sleeves as I had to take deeper seams as they were still too large. I need to remove the previous stitching so the seam will lay flat at the hem. I took some pictures of my recent fabric purchases.The top three photos are fabrics from Fabric Mart. Top photo is a Crimson red twill fabric; the second photo is a black diamond quilted double knit, this is from March swatch mailer. 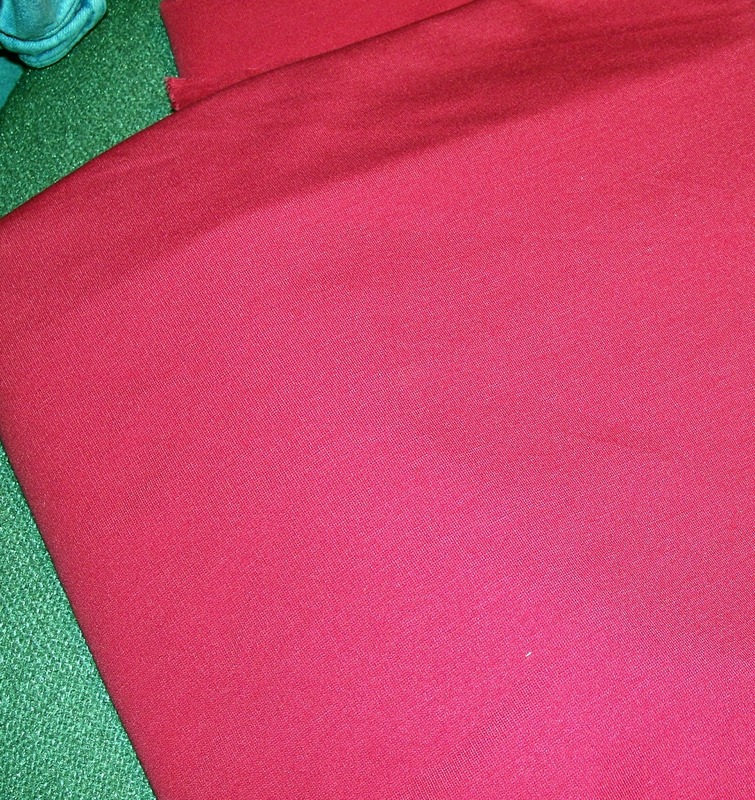 The third photo is a novelty weave Jacquard.The last photo is red and gray blouse weight crepe from Mood. The final photos are of the Kwik Sew top. I have had a long weekend, starting with Good Friday. I am taking a PTO day tomorrow. Friday, I spent time shopping, bought two pair of shoes at Macy's and got 30% off. I ordered a pair online as they did not have my size in the store. Photos to follow. Saturday AM spent time at the Y on tread mill, came home and sewed some, then DH and I had to run errands and then a nice dinner out. More sewing last night. Did more sewing this morning and I am still working on the KS top! I had ambitious plans for sewing for the long weekend; I always do. Let me say that the KS top, is taking forever to sew. The overlay is a nice design feature but there is a lot of hemming involved. The knit I am using for the overlay is a little "fiddly" so turning and sewing the hem around the bottom edge required me to use stitch witchery to fuse the folded fabric together to give it some body to sew nicely. At Carolyn's request, here are photos of two knit fabrics recently purchased from EOS. The print is a gray, white and plum with dark gray/black and the solid is a plum shade. Both have nice body or weight to them, not real clingy. 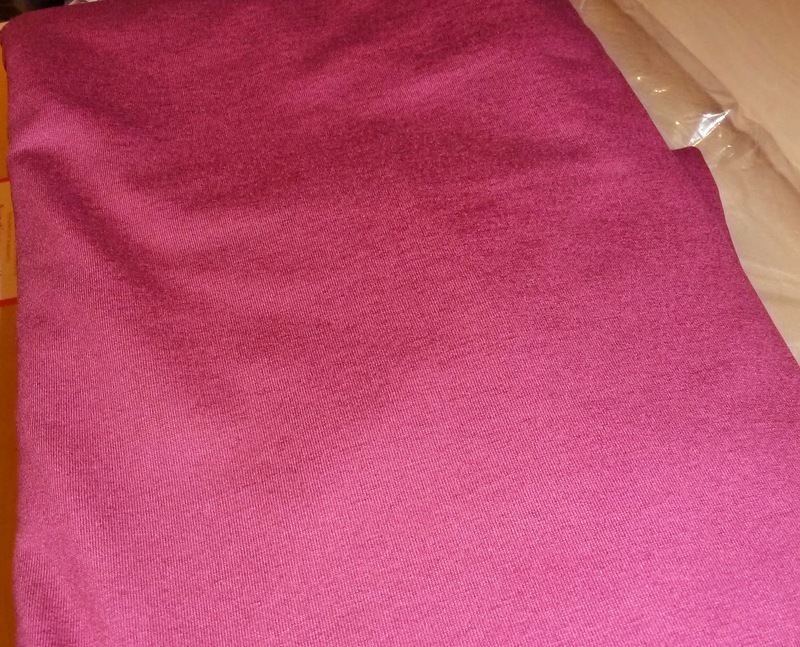 I also recently ordered and received two blouse weight crepe fabric from Mood. Pictures to follow. Update on KS top, the brown sleeve has been inserted, one more to go. Slow progress. Long holiday weekend coming up so plan to get more sewing in. Later.